Excellent mixer, outstanding price point. Just been using this for home mixing over the past 15 months with two 1210?s, mixing mainly techno, house while my roomamtes would use it for mixing everything from hip hop to rock. Regarding build quality - from the start I was blown away by the solid feel of the mixer. It comes in a compact size but it heavy and feels sturdy. the rubber EQ knobs feel great just adjustments and the faders all feel high quality. The LED's are also excellent and easy to use for quick reassurance when cueing. My mixer still feels new and looks it after a over a year of heavy use. Regarding handling, it works a charm for mixing 2 tracks. The knobs feel well, the faders slide well and everything feels well balanced. At first I found the setup of the filter a bit strange - due to it basically being two rotary knobs to control wet/wild and resonance that acts as a filter for either channels (you can use one one channel or both simultaneously). It's a bit tricky at first due to the low and high pass sharing the same knob, so if you switch to low pass while having a high pass on by mistake, you'll potentially cut a track. It takes some getting used to, but once you do it's absolutely fine. The EQ'ing feels fantastic, and adding tone to tracks is excellent and simple. This mixer has basically hit the nail on the head for mixing two turntables - 2 channels that work well, an amazing filter, good crossfader and no extra effects or anything that I would never find myself using anyway. Feature wise, as Ive mentioned above the filter is strange at first but an excellent addition, after a while I came to prefer it to separate channel filters such as on DJM series. 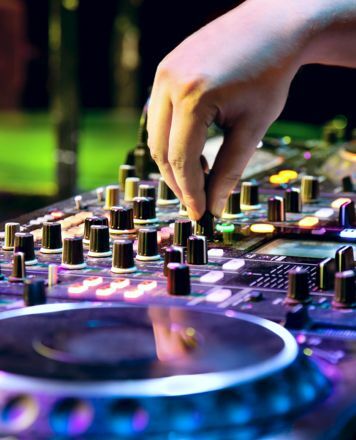 Another sweet ability is to have the ability to connect 2 inputs to each channel, meaning you could have a CDJ and Technics in the same channel, and these are basically controlled by the gain of each at the top. It's basically a 2+2 mixer - it's strange but works well. The sound is the best thing about this mixer. I still scratch my head thinking how something at this price point sounds so good. 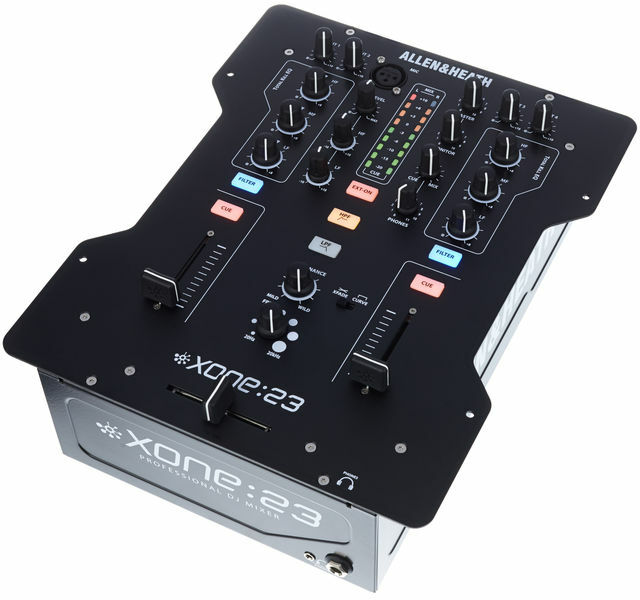 I've considered several times to get a new mixer but honestly can't justify it at the moment unless I move onto 3/4 decks. 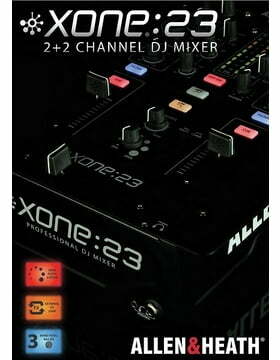 This mixer has everything you need for 2 channel mixing in my opinion. 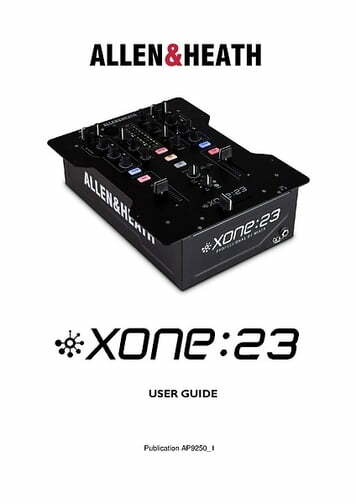 I was going to get a Xone 92 for the sake of the extra filter and handling, but can't find myself ever upgrading unless I ever get CDJ's. Bottom line is if you play vinyl and have a grand to spend on a new mixer - get this and spend the remainder of the money on records. Best! And what a price! Fantastic sound for fantastic price! And those amazing fully analogue filter! My mixes are so precise and clear! 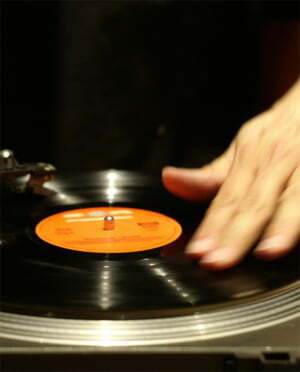 If you ever played with Xone 62 or 82 you know the sound, especially for vinyl. Phono-preamps on all digital mixers (pioneer, numark etc) are so harsh and bad sounding. 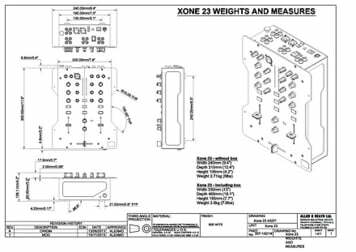 With this mixer your vinyl will sound the same as with Xone 62 or 82. Or I don't hear much difference. What I hear is HUGE difference with Pioneers. Really. You will be surprised why they are considered 'industry standards'. Because everyone plays mp3s? Build like a tank. 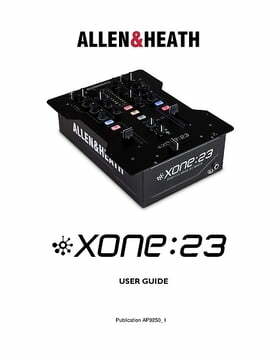 We all know that Allen&Heath DJ mixers made 10 years ago (or so) were not so durable. This is not the case anymore. 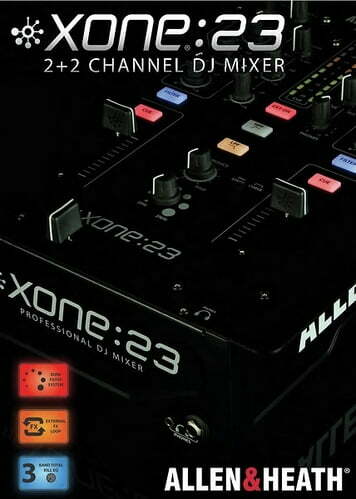 I take Xone23 with me twice a week in a club during two years and it is still looks and sound just like brand new! Unbelievable build quality. Not any single flaw! 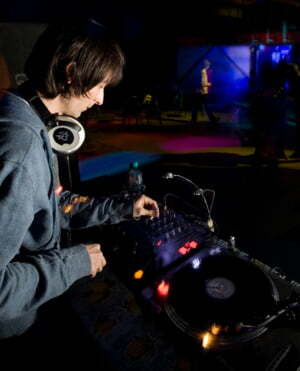 I DJ since 1996 and I had possibility to play on many mixers. Vestax Rotary and A&H 82 were the best sounding I can remember, but you know the price. This little baby sounds just like them. If you just play two records nothing can beat it. And you can connect 2xCDs and effect processor. Outputs are professional: XLR, Booth has separate volume, Record Out. In some clubs/bars they use RCA - so I just connect it through Booth RCA outputs, no adapters needed. Only adapter I recommend is RCA to Jack Female, for Booth if you gonna use in club where Pioneer is installed. This mixer changed the way I mix. I don't use EQs anymore to kill the bass (even EQs are kill-EQs). I Prefer to kill bass on one records using Filter, this allows me to tune its frequency precisely to each track, then I mix in second record, and after playing a wile both I press both Filter buttons at the same time - this allows me to perfectly in time switch bass-lines from records A to record B. So Easy! Ans sounds like a magic. Pros: Perfect size, perfect weight, amazing price, fantastic sound. Analogue Filter! Build quality is great. Cons: You will need to use soldering iron to remove 'ear protecting resistors' in order to have maximum possible Gain. 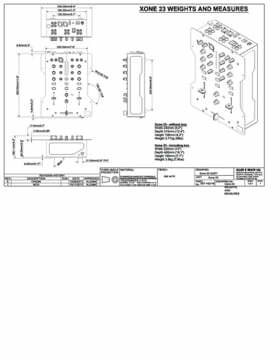 This require some experience and it is easy do damage the mixer. Still on some very silently recorded vinyls Gain is not enough (some 'silent' albums with 20+ minutes on each side). For singles Gain is enough. ID: 331715 © 1996–2019 Thomann GmbH Thomann loves you, because you rock!